This volume chronicles the clash between David's sons Amnon and Abselon with a poignancy that captures the pain and despair of a father as he watches his family fall apart. 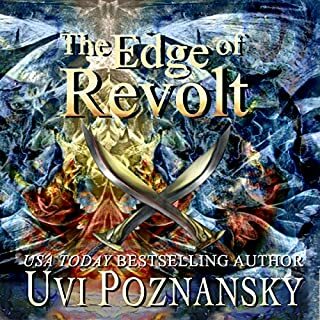 Poznansky weaves bits of biblical text with her own words as she spins this sad tale of one of the low points of the great biblical king's life. It's a tragedy of classical proportions full of pride, hubris and the inevitability of the fall. Bob Sterry, in my mind one of the best narrators working today, brings the story to life with all the warmth, nobility and eloquence it deserves. A story you won't want to miss.